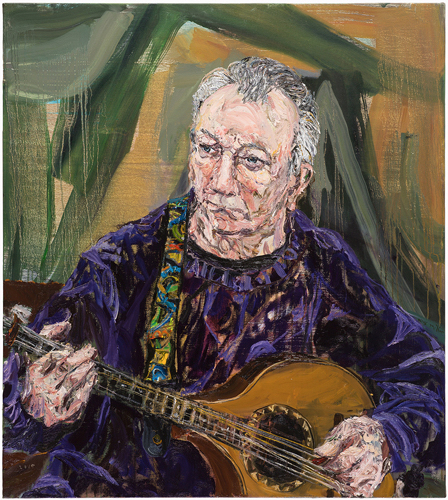 A portrait of Dónal Lunny, one of Ireland’s legendary musicians and composers, was today unveiled (Friday, 17th April, 2015), in the National Gallery of Ireland. The portrait was specially commissioned by the National Gallery of Ireland as part of the inaugural Hennessy Portrait Prize. The artist, Nick Miller, winner of the Hennessy Portrait Prize in 2014, painted the portrait, ‘Dónal Lunny, Playing’, over a number of sittings in his Sligo studio. The portrait is on display in Room 10 in the Beit Wing of the Gallery.